Itâs so simple to schedule your free trial guitar lesson. Contact me now to book yours! â Schedule lessons at your convenience, between 8.00 am and 8.00 pm GMT, 7 days a week. Learn to play the guitar from the comfort of your own home. No more sitting in traffic trying to get from A to B. Now you can spend that wasted time playing and practicing. Flexible scheduling also means you wonât have to miss your weekly lesson due to unforeseen circumstances. Iâve been teaching Skype guitar lessons for 5 years now. I have guitar students taking lessons in the USA, UK, UAE, Spain, Ireland, Germany, France, Bahrain, Panama, Australia, China, Canada and many other locations. As well as teaching Skype Guitar Lessons, I also find time to post articles for Ultimate-Guitar.com and create online guitar courses for Udemy. Iâm also an Educator for the TrueFire.com running my own personal channel called the Rock and Blues Chronicles. Please enter your contact detail so I can contact you to arrange a time for your Free 20 trial lesson. 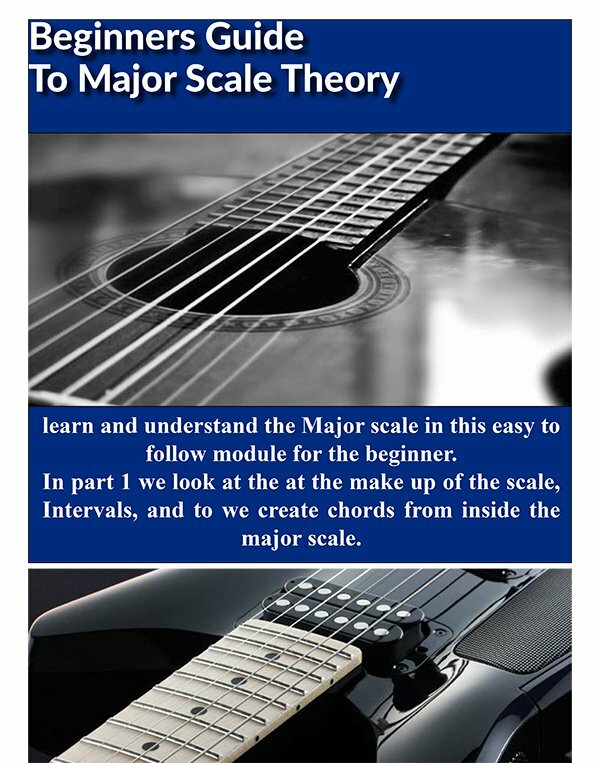 Also why not subscribe to my Newsletter and you will receive my Music Theory For beginners Booklet completely free of charge.